Jump, Climb, Bounce & Slide and enjoy a completely fun activiity with the kids. We will have our NEW disco and laser lights on with the lights out. Free glow necklaces for every paid admission. $7 per child - all ages welcome. No charge for parents and one parent must stay. 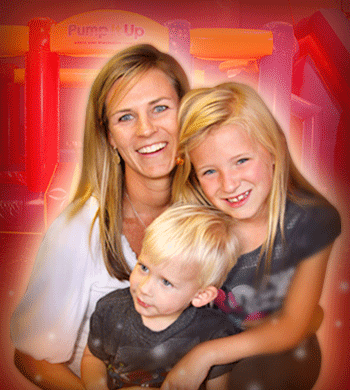 Pump It Up is proud to offer an inflatalby fun time for the entire family! Sorry no food is allowed. 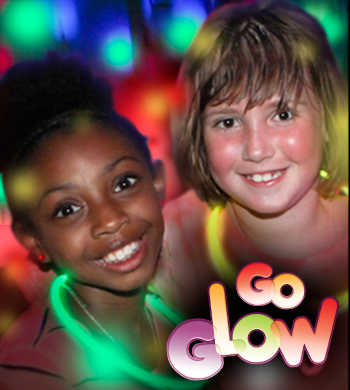 Passes & Punch cards are allowed to be used for this session but glow necklaces will be $1! Passes & punch cards are allowed. During this evening event, the play areas are reserved for kids with disabilites, including kids on the autism spectrum, and their families. Kids have a great time meeting new friends. Jump, slide, and play with sensory-friendly games in a safe and controlled atmosphere.